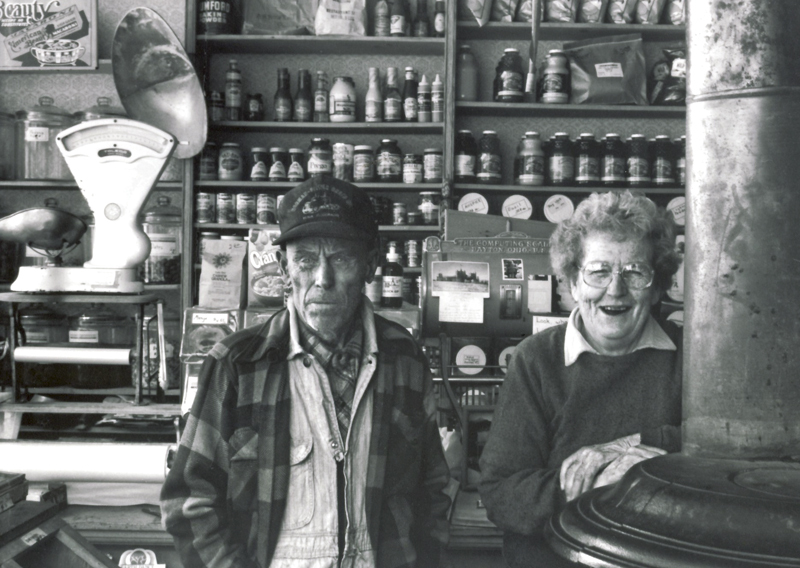 It was the kind of country store that used to dot America’s rural landscape back in the days before automobile mania became so epidemic that people started driving all the way to town just for a quart of milk or a pack of smokes. These dusty, musty and creaky-floored emporiums of the sometimes absurd purveyed a stunningly vast array of products: hyper-practical footwear — mainly the type of heavy work boots now favored by skinheads — the type of clothing — flannel shirts, stiff khaki pants, wool socks — that had been successfully and simultaneously in and out of fashion since back before your grandparents’ days, and enough in the way of miscellaneous and sometimes inexplicable hardware that a resourceful person could build a time machine or an interstellar spacecraft if he or she could be convinced that such contraptions could be used to harvest corn or herd cattle. They often sold gas. Two types: regular and premium. The pumps sported decidedly analog spinning gauges that were almost impossible to get stopped right exactly on the amount you were fastidiously aiming for because that’s all the money you had in the world. And not only would that letter get to you, the store owner/postmaster (or his wife, parent, child) would call you let you know you had mail, and, when you came to get it, you’d be asked in great detail about its origin and contents and, as that nosy interrogative was being unabashedly posed, everyone within earshot would shamelessly listen in. These rural stores often boasted butcher shops that, in these tort-filled times, would likely not pass regulatory muster, given the circling flies and the cigarette dangling from the lower lip of the man maniacally wielding the well-used implements of slaughter. 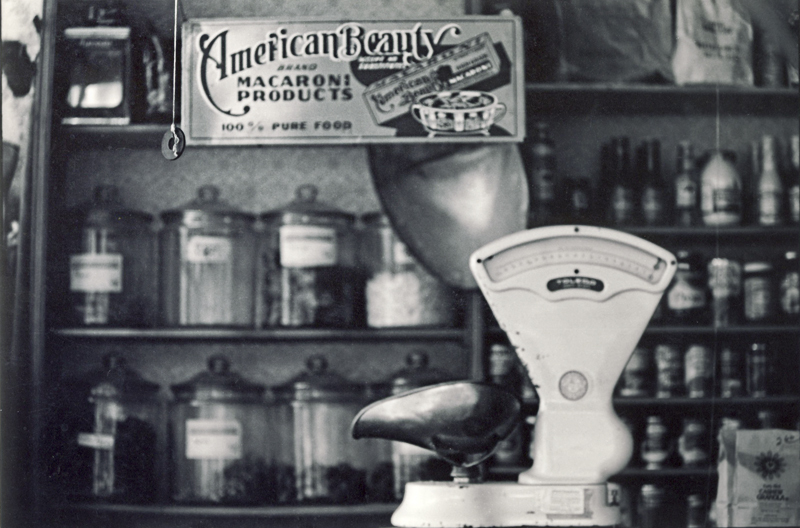 They peddled basic groceries, mainly of the canned variety, because, since most everyone in the communities serviced by these types of stores had their own kitchen garden, fresh produce would likely have spoiled before it was ever sold. The best thing these stores offered was not for sale: They provided a venue for gossip and company. They served as the slow-beating heart of hamlets that had for centuries been separated by distance and disposition from a cultural mainstream that was still decades away from devolving into one mammoth, pervasive common denominator. This particular store, which was way way back on a windy road in lush central Georgia, fell well into this fast-dying retail sub-species: a breed going moldy because of its own conceptual obsolescence and the plague-like spread of shiny-new convenience stores into once-pristine (some would say inbred) social ecosystems. There were a couple well-worn benches on its front porch, but they were suffering from structural rot. It looked like no one had parked upon those benches to shoot the breeze since well before satellite dishes began lighting like vultures on isolated rooftops and well before oxycontin became a household word in places accessed only via meandering blacktop too narrow to accommodate center stripes. I happened across this country store because I was looking for a certain state park at the same time that I had let my car-camping larder run perilously low. I did not need to provision myself for the upcoming winter; I only needed enough chow for supper, as I planned to continue my circuitous journey to points far far West early the next morning. Judging from the expression on the face of the lone employee — a corpulent lady of about 50 who looked as though she once may have been the local homecoming queen — it was not often that a non-forever local passed through her front door. She actually looked borderline panicky. As she asked nervously if she could help me, her eyes darted down below the ancient cash register, where I’m sure could be found a loaded weapon. Probably several. I asked some basic directions — always a good conversational entrée — and told her I needed some basic sustenance to see me through the night. After sizing me up for a couple seconds, she relaxed and said, “Y’all look like someone who wants health food.” I cannot for the life of me get used to hearing the linguistically bruised contraction “y’all” being used to address a singular entity such as, as but one random example, yours truly. It’s like Southerners all suffer from an ocular malady that causes double vision. That, or they always see a ghost or an alter ego standing at my side that I am unable to perceive. I tried to surreptitiously eyeball the proximate shelves. I did not see anything within the narrow scope of my peripheral vision even remotely approximating “health food.” I did observe cans of Vienna sausages (three different varieties! ), cans of SPAM and its lower-tiered cousin, TREET, cans of sardines, cans of Campbell’s soup and boxes of desiccated macaroni. I saw packages of Twinkies, which I thought went extinct. I saw Little Debbie snack cakes and Moon Pies. I saw pouches of Redman chewing tobacco. I saw boxes of 12-gauge shotgun shells. The lady led me to the next aisle, where she proudly pointed down toward the bottom shelf, which appeared forlorn and little visited. “Look, that one has a picture of some carrots on the label,” the woman proclaimed while drawing my attention to a lonely can of Dinty Moore beef stew. “And that one has a picture of some beans,” she added, aiming her pudgy digit directly at an equally lonely looking can of Wolf Brand chili. She stood by, apparently awaiting my holistic decision with bated breath. The contemporary me resisted the temptation to recoil and flee and, while so doing, deciding to begin a juice-based cleanse diet right then and there. But the part of me that remembers shopping at old country stores on a regular basis stood transfixed. Gloucester County, Virginia, was chock-full of old country stores that have long since been shuttered. During my early 20s, when I worked as a land surveyor’s sub-minimum-wage gofer, we often took our lunch breaks at whichever country store was closest, where we would sit out on the porch in the summer or inside around a smoky woodstove in the winter, eating Vienna sausages smeared on stale off-brand saltines, while the old-timers talked with a degree of embellishment that might well be classified as overt fiction about events that may or may not have transpired back in days of yore. Though they recoiled somewhat at our hippie-ish appearance, they always seemed glad to have an audience that had not heard those same stories 200 times before. It mattered not what those stories were about. I always took note of the inflection and flourishes and the vocal cadence and the creative use of tangents that eventually reconnected to the narrative thread and how some people utilized a lean vocabulary, while others brought the full power of Roget to bear upon their tales. And I always appreciated the value of an oral tradition that has all but perished in a contemporary communications wasteland defined by text messages. Way back when, I regularly consumed both Dinty Moore beef stew and Wolf Brand chili. Not because I had no choice, though, given some of the boondocks locales I called home in those halcyon days, I likely had little choice, since I was, out of necessity as much as habit, a frequent customer of old country stores. But mainly because I liked both products and did not know, or care, that I was essentially contaminating my digestive system by eating them. Both then looked more or less like what your mom would make were she preparing beef stew or chili from scratch in the family kitchen. They at least took on the appearance of real food. I did not stop buying Dinty Moore beef stew or Wolf Brand chili because of any nutritional epiphany. Rather, I stopped because I moved to a town in New Mexico that had a food co-op at the same time that the quality of the products began to diminish. Whereas Dinty Moore beef stew once provided a substantial enough meal that it fueled me on many a week-long canoe trip, it devolved to the point that it began to resemble slop that would have been served to Soviet gulag residents under Stalin. Likewise, I enthusiastically devoured many a can of Wolf Brand chili on the winter camping trips of my long-ago youth, back when I would willingly carry heavy canned victuals with me into the backcountry. These days, sadly, Wolf Brand chili looks like unidentifiable road kill that had gorged upon effluent shortly before vehicular impact. I was having trouble picking my poison, going back and forth between Stalin stew and road-kill chili, and between staying and running like the wind toward the front door, which was warped and had loose chunks of screen flapping in the warm breeze. The clerk’s foot began impatiently tapping. I extricated myself by impulsively buying both cans. “Good choice,” she said. “Y’all’ll be eatin’ good tonight.” I could not tell if, deep down, she was grinning. Maybe she would tell the story of the gullible visitor from god-knows-where for years to come. What few old-timers who yet remain would guffaw at my expense till the cows come home. And that’s just fine by me. May they use many colorful adjectives and many meandering tangents in the telling. I turned quickly, to see if there was a ghost or an alter ego anywhere near the bruised linguistic contraction I apparently have become in the twilight of my life. And there was! But he was hightailing it so fast in the other direction, I could not make out his features before he disappeared into the thick hardwood forests that have blanketed the South since the beginning of time. yum. but-cha dew rite gÜd, misstrr MJF. an yer ajjectivs ‘n purrro nounz ‘n sutch embellisherize beeyooteefooleee. and how kwirkee! the idea (and reality) of the healthy (food)stand on the flip-sighed of the mirror of.